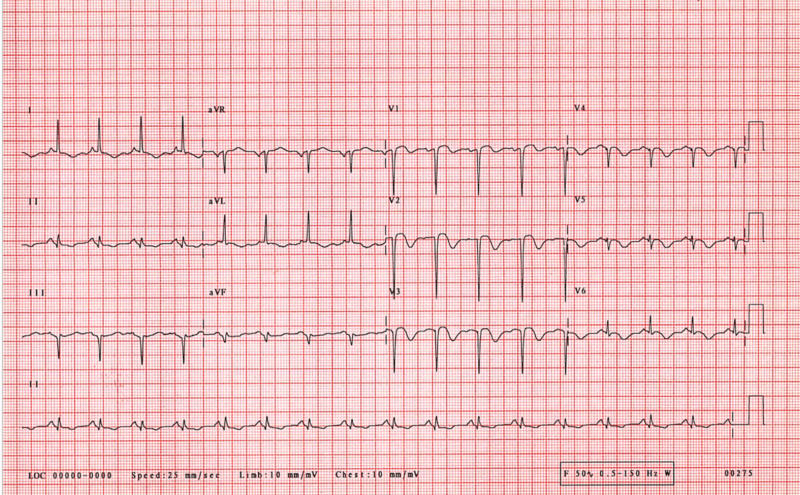 The ECG was recorded from a 66 year old woman two weeks after an anterior myocardial infarct. There was a history of previous myocardial infarction four years earlier. The changes in the anterior leads are those of a fairly recent infarction. The Q waves in the inferior leads date from her previous infarct four years earlier and at this stage the T waves in the inferior leads have resumed their upright position.